“As the U.S. population ages, police are increasingly serving as the eyes and ears of the health care profession,” said UCSF geriatrician Brie Williams, MD, MS, a national expert in improving the care of older adults in the criminal justice system. Officers may be called to assess possible elder abuse or neglect, or to respond to criminal activity involving an older adult with cognitive impairment, mental illness or substance abuse issues. “In situations like these, police serve as a primary link between older adults with acute health care needs, and clinicians who could potentially meet those needs,” said Williams. 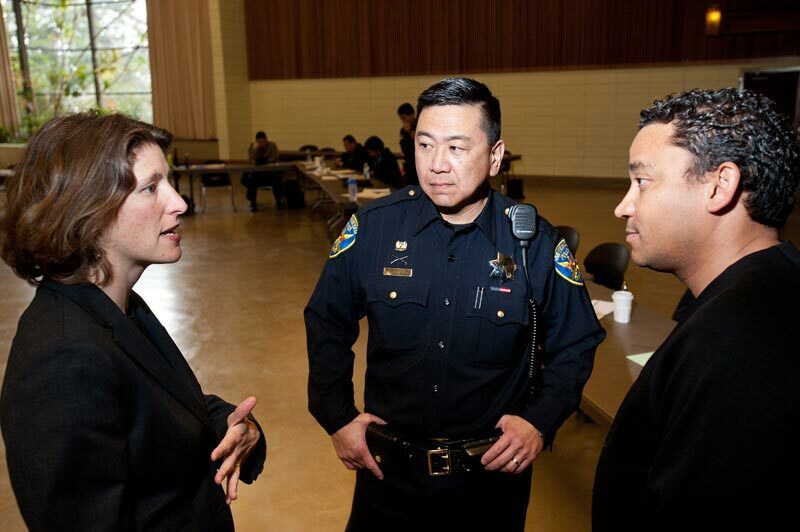 Since 2011, Williams and her team have provided a two-hour training to members of the San Francisco Police Department as part of a weeklong crisis intervention training that the police department conducts for selected officers every quarter. Williams and her colleagues designed the geriatric training after leading one of the first-ever studies assessing challenges that police officers face in responding to elders with aging-related conditions. The training includes an overview of how both the general population and the criminal justice population are aging, and the increasing numbers of older victims, suspects and witnesses. Williams also describes aging-related health issues, such as how elders bruise more easily than younger people, and how alcohol metabolism changes with age – for example, a glass of wine may make an older adult dizzy while driving home. Williams also provides a handout with community resources that officers can use to refer elders to the help they need. The training then helps officers experience some of the challenges of being an older adult. 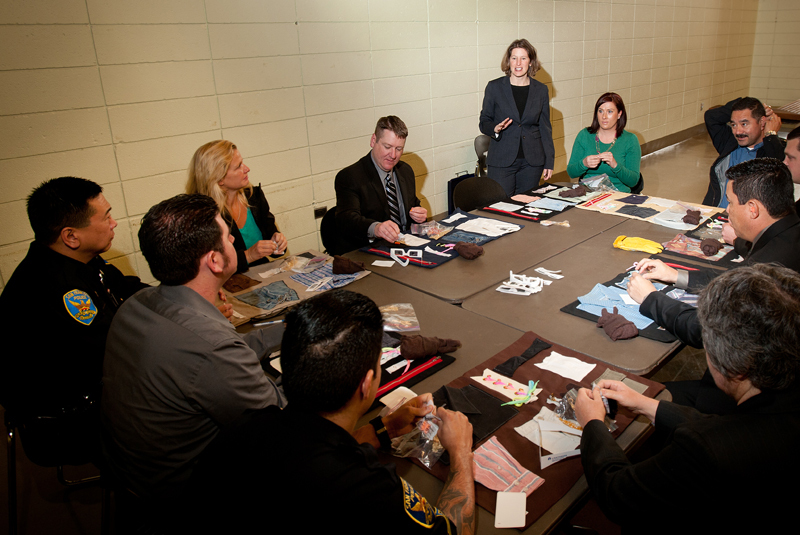 Using a curriculum adapted in partnership with the Northern California Geriatric Education Center, officers wear glasses that blur their eyesight and restrict peripheral vision, put in earplugs, and don thick gloves. They try to button a shirt, tie a shoelace, and fill a weekly pill organizer with several different types of medications.